Was following closely what people saying about 3 idiots in twitter world. Looks like people are just loving it. Just picked up 10 comments about the movie. Only Aamir can bring people into a theatre that late. Superb film. My mind is full with 3 Idiots scenes. Magical mix of madness and message. Only an 'Idiot' would miss it. Felt especially pleased with myself because I'm an idiot too! It's strange how a movie's making me feel vindicated! woh college ke din yad ate hai,regging ke woh din.kabil bano.kamyab nahi. 3 Idiots' is a cracker!!! It can bring a smile to your face even at the most unexpected moments. Must-watch for all! Exceeded the novel by miles. A must watch movie for all. Even for those who have read novel. The future shines bright for the movie watching community in India. A booming economy, a young audience profile, the onset of the multiplex culture and increasing spending patterns bode well for all stakeholders - movie exhibitors, movie makers and the audience. If the opportunity is seized and acted upon with the audience in mind, it could reap in profits for the exhibitors. The Indian film industry , the largest in the world with 1000 movies made every year, is pegged at an estimated Rs. 6800 crore and is expected to grow at a healthy rate of 20% per annum. A key factor for us is that the domestic box office revenues account for 78% of the total industry revenue. The industry forecast is pegged at Rs. 15300 crore by 2010 and is headed northward in the years to come with India’s demographics - a population with an astounding 24 years as the median age amongst more than 1 billion. To add to this scenario, higher spending has already been recorded in eating out, movies and theater, books and music. With the long term forecast for the next 25 years looking so bright, movie industry stakeholders could benefit tremendously by a slight change in customer focus and going all out to woo them. The key is that the ratio of domestic box office revenues must be protected or even increased - more audiences should be ideally watching movies at the theatres. One of the reasons for the growth in movie watching has been attributed to the number of theatres that have been set up in the country thanks to a boom in retail sector. Mall operators depend on attracting footfalls through a combination of branded food and apparel outlets as well as theater chains. Movies and entertainment outlets are the key drivers forthe successes of malls. Despite the increase in theatres, for a nation of nearly 3 billion admissions every year (weekly entry of about 55 million), India is estimated to have only 12, 900 theatres across the country. (CII – DSK Legal, Media and Entertainment Industry 2003). As per a UNESCO report, India needs about 20000 theatres more to meet its demand. 300 odd mulitplexes help the domestic box office revenues. The increase in options to watch movies in places other than movie theatres poses a threat. Audiences have a choice of watching movies at home on broadcast, cable or satellite television programming, DVD or by pay-per-view. India’s home video households, currently at three million, are projected to increase to about 13 million by 2010. Other factors that slow down traffic to theatres are the increasing costs of watching movies, travel, trouble of buying tickets and a perception of lack of enough ‘value’ for the money spent. With increased customer focus, movie exhibitors can woo the customer back to the theaters and reap benefits over the next 25 years. By easing the process of watching a movie, providing an extra incentive and adding value to the entire proposition, exhibitors stand to gain strategically. The movie audience is young and tech savvy. Exhibitors should recognize the need for alternative means of ticket booking through online booking, mobile booking, PDAs, kiosks, ATM booking etc. Once buying movie tickets becomes as simple as clicking on the mouse, sending an SMS or drawing cash from an ATM, the overall transaction value would increase – much as travel has increased in India through online booking. One ticket free for the guys who purchased a book from which the movie was made. Such models have witnessed phenomenal success because audiences take away some value from the experience, even if they do not enjoy the movie they went for. Exhibitors could add value by providing a home-like experience in the theatre. For example, a Wi-Fi environment could help busy executives while the family is viewing the movie. Movie watching in theatres could become an experience of the old with such measures as they become experiences to cherish. If the process starts now, it could make a whole new difference to the way the industry grows! Hyderabad is synonymous with biryani, for sure. Now, true to its image of high tech city, the city-based Gap Miners has launched www.NoMoreQueue.com , a website that enables you to book your bus tickets and get on to the highway using the internet highway! While there are quite a few movie ticket booking sites, one site that stands out today is http:www.NoMoreQueue.com. Not only are there many single theatres whose tickets are priced very reasonably but also the experience the user has makes booking movie tickets a rewarding experience. Just go ahead and 'Do the new'. NoMoreQueue. Planning these campaigns across all the cities as we are signing up more and more theatres. 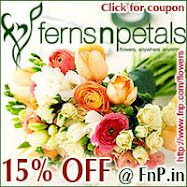 We are currently running this offer. Have you seen Kaminey yet? 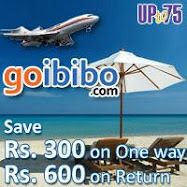 Avail the 50% discount and splurge the money saved on Coke, Sandwiches and Popcorn. Happy Movie Watching. How would you love to receive movie tickets as gifts? Who wouldn’t? Well, you could do the same for your friends, family or even your boss. And from the comfort of your home or office on www.nomorequeue.com. 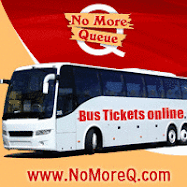 www.nomorequeue.com allows you to book tickets online and then gift them to your loved ones. This site has wonderful features like “Now Running” to see all the show timings and theatres and helps you decide on the movie and the theatre and the show and then completes the process by booking your tickets for you! What could be a more simple way to gift a movie? On www.nomorequeue.com booking tickets for movies is so simple. All movie listings in your city are available in the “Now Running” feature. If you’d like to give this same info to your visitors, we could give the same to you as an Application Program Interface (API) or a widget at no cost to you. You can add value to your site by giving your visitors this added feature. You have been using the Now Running feature of www.nomorequeue.com to get the latest information on the show timings of your favourite movies in your favourite theatres. Now you can have the information on your mobile phone! The WAP version of Now Running feature was launched on the 27th of July. You can now check out movie showtimes and new releases on your mobile at http://mobile.nomorequeue.com to have all the movie information you need. If you are a theatre/multiplex owner/manager, this is for you. movies.nomorequeue.com is a place where all the working population and the student population books their tickets online. Movie tickets and bus tickets. There are a huge number of people out there who do not have the time to go to a theatre and book tickets in advance or the inclination to be disappointed at not getting tickets.They like going online and booking movie tickets in advance. So if your shows are not filling up till the last minute, you could register with movies.nomorequeue.com and see the difference. No investment, only returns! Just contact us and you will be listed with us. This week’s release at Ajanta theatre Kolkata is Jashnn. This movie has an exciting starcast with Adhyayan Suman, Shahana Goswami of ‘Rock On’ fame and Anjana Sukhani. You can book tickets for Jashnn on http://movies.nomorequeue.com . In India today, consumers have a choice. We as an economy are moving from monopolistic institutions and companies to a level playing ground where anyone is welcome to offer products and services to consumers. Even in traditionally government run monopolies like the telephone services, internet services ,power etc, now we have private players , the competition ensuring that the consumers get better quality and a wide choice. www.nomoreque.com is one such service provider. We offer online movie ticketing and related information services to you. Along with us, many other such providers exist. You have a right to choose whichever provider you like best. In such a free economy where private entrepreneurship is being encouraged and monopolies being restricted, the A.P. Govt. has come out with a GO in FEB 2009 asking the theatre owners to part with 50% of their bookings to a single agency(Galaxy) which will offer tickets online to the consumer. Awarding (or gifting!) this to a single agency reeks of unfair practices and would lead to a monopoly of the online movie ticketing business, leaving all the other online service providers at a disadvantage and forcing the theatre owners to reserve 50% capacity for Galaxy , which is a risk. Consumers like you will not have any option but to go through Galaxy for online booking – you may not get the best service. The Govt. says this GO will ensure that accounting/taxation will become transparent with this measure- but where is the logic in that? Even if you had multiple online service providers, you can still have transparency in accounts/taxation if those systems are in place..
What do you think? Are we regressing back to monopolies and nepotism here? Give us your views. Which movie do I want to see? Little Zizou. When? Saturday. What time am I free to go? After 2pm. Where is it playing at around 2pm/4pm/6pm ? Prasad’s, PVR or anywhere closer to my house at BHEL? Can I book my ticket online? Well these are some of the thought processes you must have gone through before a movie experience. And to get answers to the above questions you might have had to run around/call and ask someone, or hunt for a newspaper and look for information in the crowded pages, or look at the posters and figure out the details. Well, you don’t have to do any of these anymore. Because we have a new feature on www.nomorequeue .com. Its called “NOW RUNNING” and it has answers to all these questions and more. Stop ! Your Time is Precious! Watching movies is not a waste of time. It relaxes you, entertains you and lifts your mood! You enjoy watching movies with friends, family or even alone… and you must! But a movie is only 2-3 hours long. Why then do we need to spend another 2-3 hours for booking the tickets in advance? Don’t we have anything better to do? Work, get some rest, exercise, cook ..there’s so much else we can do in those 2-3 hours that we take to go and buy tickets in advance because you don’t want to return without tickets. So, is there a way to avoid going out for advance booking ? But still be assured of your tickets? Is there a way you could save a lot of time for yourself? Yes , you could ask someone else to do it. So is there SOMEONE ELSE? Yes there is someone who’s doing this very useful job of listing all the movies in town and providing us the service of booking the tickets online. All we need to do is go to www.nomorequeue.com and just click on your favourite movie/theatre and choose your time/date and book your tickets – no time wasted! We have launched this service now in Hyderabad! So go and make your life easier.. watch more movies ! Welcome to the official blog of www.NoMoreQueue.com! 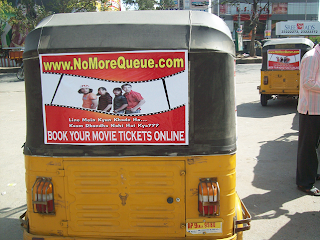 Launched in Hyderabad, Delhi and Pune, www.NoMoreQueue.com is a treat for movie lovers! For every Indian movie goer like you and me, NoMoreQueue is a dream come true. Now we can make watching movies a wonderful experience by merely clicking on www.NoMoreQueue.com. No more disappointments, only the joy of watching movies! www.NoMoreQueue.com, a division of GAP Miners Private Limited, aims to make the movie watching experience a lot of fun from start to finish. You go to the movies to relax, to have a good time and spend some time with family and friends. And you do..if you get the tickets in advance . But for that, you need to go and stand in queues and wonder if you’ll get the tickets. Imagine the comfort and convenience of logging on to www.NoMoreQueue.com, selecting the city, the theatre, the movie, the seat, paying online and that’s it. Just go in before the movie and enjoy the show. In this day and age standing in queues for movie tickets is a criminal waste of time and effort. You can do so much more with your precious time! Our aim is to provide the best online movie ticketing website in India and make it available for every city and town in India . Not only just booking tickets, we also aim to give you reviews, interviews and much more. The features are aimed at making the experience of the movie goer really simple and easy. Don't waste your time. Check out NoMoreQueue.com!